Portrait of Richard Owen (Smithsonian Institution's photostream). I feel a lot of sympathy for Richard Owen. The more I read his work the more so. He is a fascinating dark character, both for the peculiar quality of his scientific oeuvre as well as for his eccentric persona. A true representative of Natural History in the Victorian Era. History has certainly not be kind to him, foremost because it seems almost impossible to talk about him without reference to Darwin (as I am doing right now). This is quite understandable given the impact that the publication of On the Origin of Species had on defining the period. 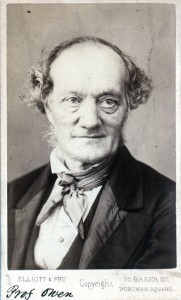 Problem is that, with a few notable exceptions1, he is wrongly portrayed as the leading antievolutionist of the time, his contribution to science thus construed as coming from a figure on the loser side of the debate and reduced to opponent of the Darwinians, in a type example of whig history. 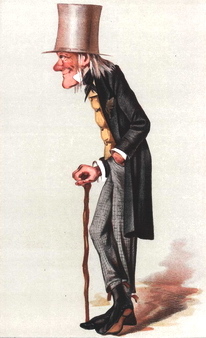 Caricature of Richard Owen. "Old Bones" Vanity Fair, March 1st, 1873. Analogue.- A part or organ in one animal which has the same function as another part or organ in a different animal. Homology is a concept that expresses the relationship between parts of organisms. It reflects the observation that we can identify a commonality of structure across the diversity of life. Homology thus forms the cornerstone of comparative biology.